Halloween is tomorrow. Can you believe it? I know I can’t. I feel like 2018 has literally flown by. If you are like me, you are probably scrambling to get things done before tomorrow. In our house, it’s carving pumpkins. My daughter is at camp for the 6th graders and doesn’t return until tomorrow. I don’t know if we will even get to the pumpkin carving. 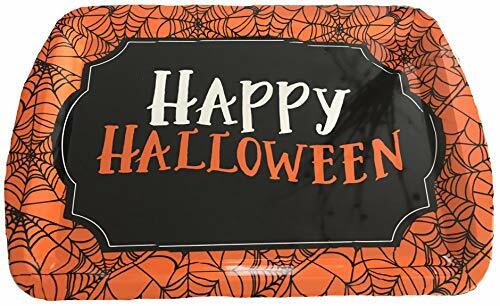 In your house, you may be scrambling to figure out what Halloween treats you can make for your kids class party or for everyone to enjoy on Halloween. 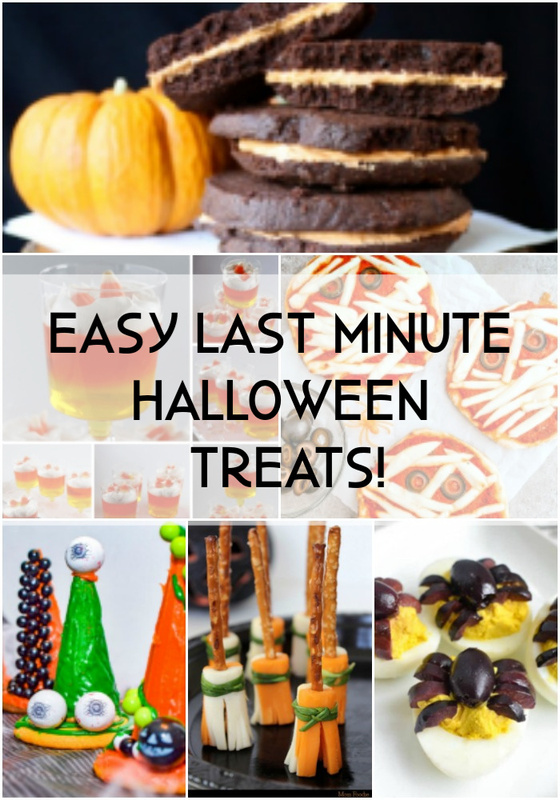 These treats are easy and perfect for making last minute! I personally don’t like deviled eggs, but I love making them. Weird, I know. 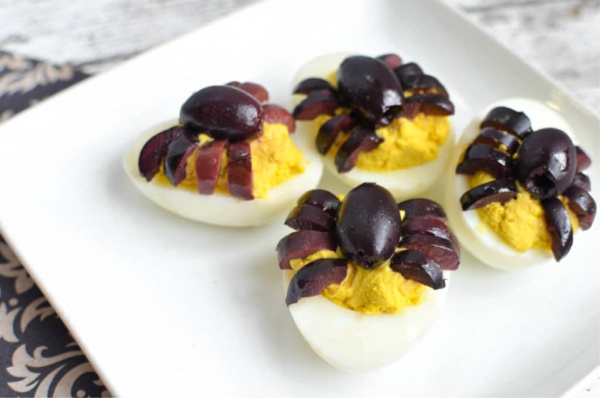 Everyone else in my family loves them and I know these adorable spider deviled eggs would be a big hit this Halloween in my house. 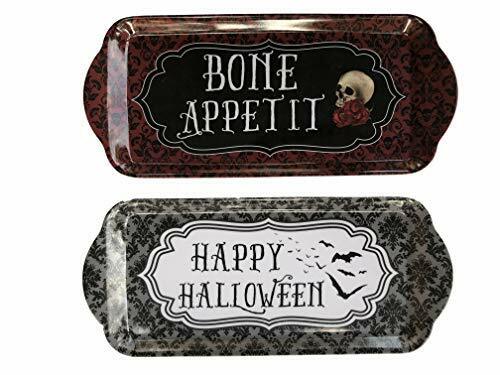 Perfect Halloween treats for pre-trick or treating get togethers or even to take to a class or office party! Two things I love…candy corn and Jell-O. I was one of those people in the hospital after having my kids, that was always excited when they brought the Jell-O cups! Candy corn is one of those things that you either like or you REALLY dislike. I love it. 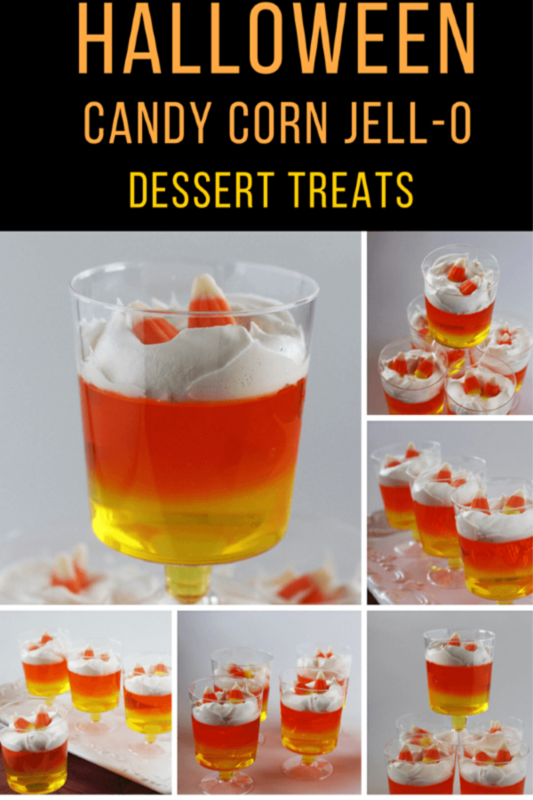 This candy corn Jell-O dessert is super cute Halloween treat for any Halloween get together! These homemade Oreos look delicious! It would be fun to make some with orange frosting in the middle and others with green! The kids would love that. Plus, as an added bonus, you can easily make these gluten free if you wanted to. 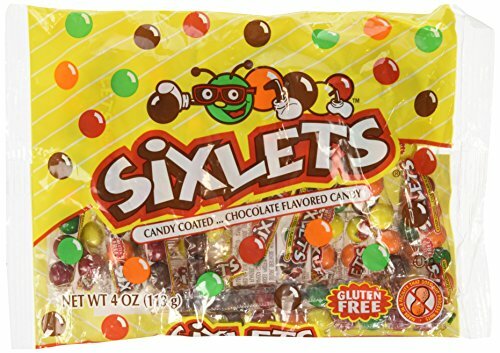 Again, these make amazing Halloween treats for both the office AND the classroom! 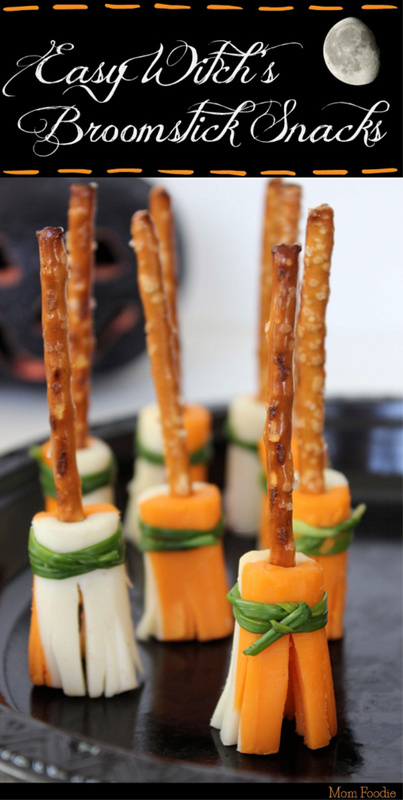 These witch’s broomstick snacks are super cute! They are perfect for any classroom party. I know my kids would have loved if I made these for their elementary school class parties! They are also super cute and easy to make if you wanted to make them and have them for the kids to eat after school or in their lunch at school! How fun! 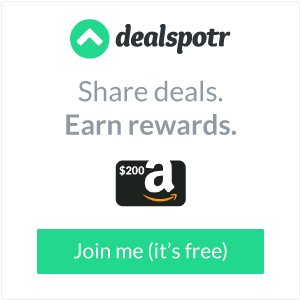 Did you sign up to bring something to your child’s class party for the kids to do and eat, but totally forgot? No worries! 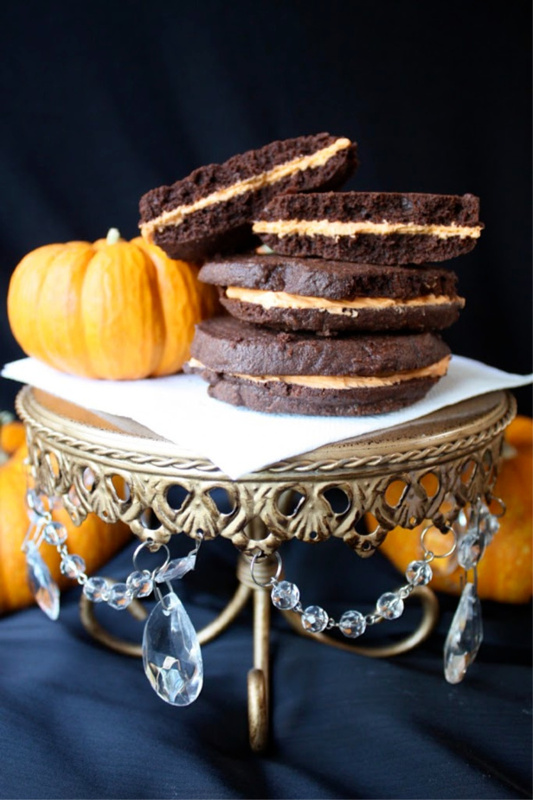 These witch hat surprise cookies are perfect! 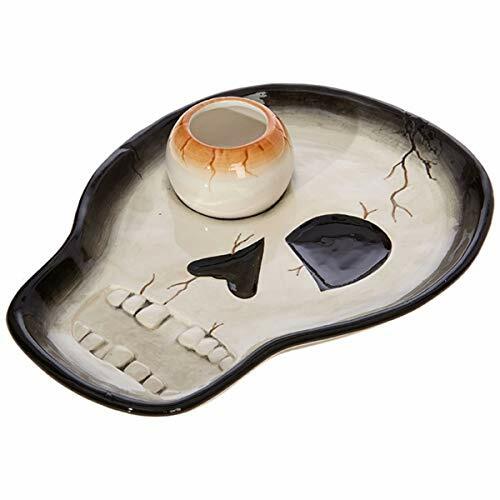 Set everything up at a table and the kids can decorate their own witch hat and then enjoy their sweet treat! Are you looking for something fun for the kids to make for dinner before they head out to go trick or treating? 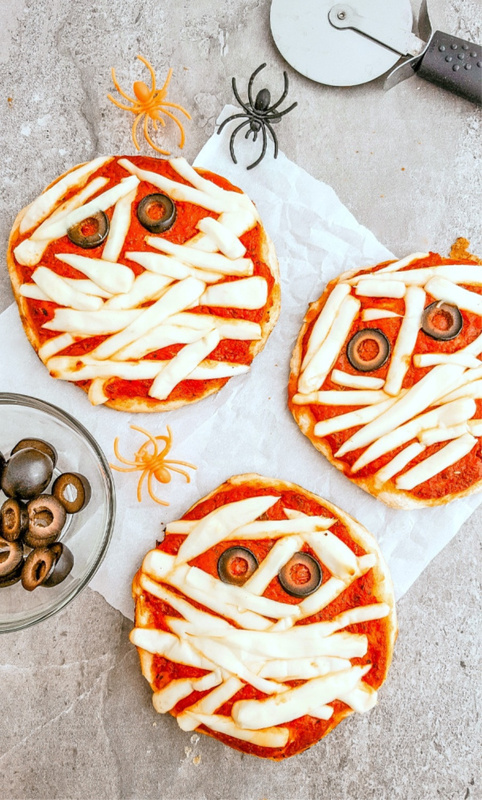 These mini mummy pizzas are perfect. We always pick up hot and ready pizzas and I think every single person in my town does too. I get them home and the kids barely eat because they are ready to run out the door. These adorable pizzas they make themselves is something that they would definitely enjoy doing and eating! 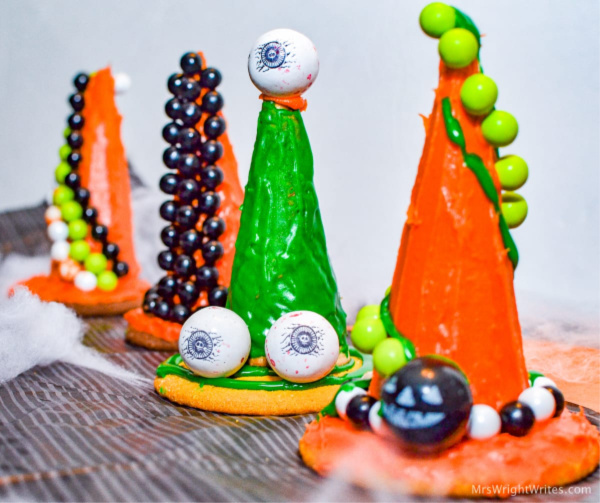 All of these Halloween treats are perfect for kids or even office parties. Don’t stress that you don’t have something prepared yet. You can easily pull these together! 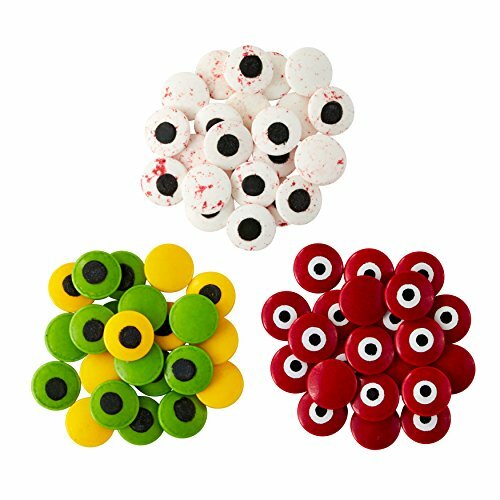 Which of these Halloween treats are your favorites? 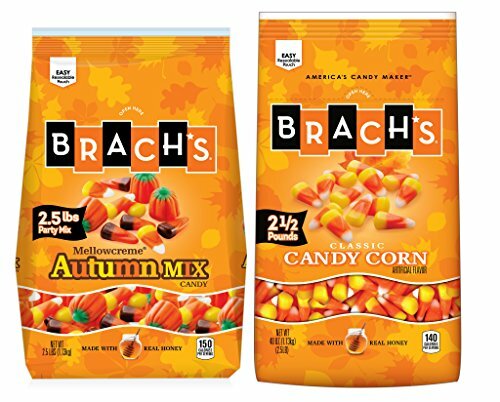 I might finally enjoy candy corn….well, as Jell-O that is!! ha/ha Pinning this to try! Both of those things are my favorite! !